Bruno Mars’ Unorthodox Jukebox took an “unorthodox” path to #1 on The Billboard 200. The album has been in the top 10 since it debuted in December, but a one-day sale at Amazon’s MP3 store on Feb. 26 gave it the boost it need to go all the way. Unorthodox Jukebox was one of 20 digital albums that were on sale that day for just $1.99. We’ve seen one-day 99-cent sales boost the fortunes of older compilations by Frank Sinatra, Bee Gees and Phil Collins, among others, but it’s rare to see such a steep discount on a superstar album that’s just three months old. The Amazon sale also boosted, among others, Macklemore & Ryan Lewis’ The Heist, which rebounds from #16 to #4 in its 21st week; the hit-studded 2006 compilation Joel Whitburn Presents: Billboard #1s: The '70s, which finally enters the chart at #11; Muse’s The 2nd Law, which jumps from #55 to #12 in its 22nd week; and Tegan & Sara’s Heartthrob, which jumps from #75 to #20 in its fifth week. 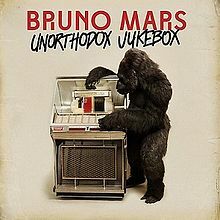 Unorthodox Jukebox is in its 12th week on The Billboard 200. 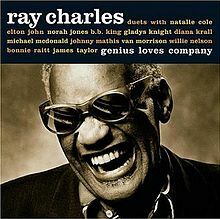 It took longer to make its first appearance in the #1 spot than any album since Ray Charles’ Genius Loves Company finally moved up to #1 in its 25th week in February 2005 (after it swept the Grammys). Unorthodox Jukebox sold 64K digital copies this week, which puts it at #1 on Top Digital Albums for the second time. 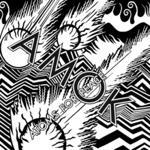 Atoms for Peace’ Amok enters The Billboard 200 at #2. The quintet features Thom Yorke, lead singer of Radiohead, and Flea, bassist for Red Hot Chili Peppers. It’s the seventh top 10 album for both of these artists. Yorke has scored with five Radiohead albums and his 2006 solo album, The Eraser. Flea has scored with six Chili Peppers albums. Atoms For Peace takes its name from a song by that title on The Eraser. Incidentally, this is the second band with an atom-themed name to chart. Atomic Rooster made the top 100 in 1971. Mumford & Sons’ Babel drops from #1 to #3. The album tops the 2 million mark in its 23rd week in release. The group’s previous album, Sigh No More, took 97 weeks to hit the 2 million mark. (For five of those weeks, it wasn’t even listed on the chart.) Sigh No More has been in the top 100 continuously since June 2010. As noted above, Macklemore & Ryan Lewis’ The Heist rebounds from #16 to #4 in its 21st week. The album debuted and peaked at #2 in October, but fell out of the top 10 the following week. It tumbled as low as #144 in November before turning around on the strength of the monster single, “Thrift Shop” (featuring Wanz). The act performed the song on Saturday Night Live on March 2. While we’re on that subject, “Thrift Shop” this week becomes the first song in digital history to top 300K in weekly sales eight times. It breaks a record set last year, when “We Are Young” by fun. featuring Janelle Monae topped 300K seven times. 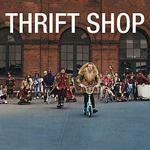 “Thrift Shop” is #1 on Hot Digital Songs for the eighth straight week. It’s the first song to top the digital sales chart for eight weeks since Carly Rae Jepsen’s “Call Me Maybe” did it from May to July of last year. Shameless Plug: Where will “Thrift Shop” rank on the Hot 100? You’ll find out later today when we post Chart Watch: Songs. Hillsong United’s Zion debuts at #5. It’s the first top 10 album by the Contemporary Christian act (which is affiliated with the Australian Hillsong Church). The act’s previous highest-charting album was Aftermath, which peaked at #17 in 2011. Josh Groban’s All That Echoes drops from #3 to #8. The album enters The Official U.K. chart at #9. It’s Groban’s first top 10 album in the U.K. The Top Five: Bruno Mars’ Unorthodox Jukebox jumps from #2 to #1 in its 12th week (95K). It has been in the top 10 the entire time…Atoms for Peace’ Amok debuts at #2 (50K). 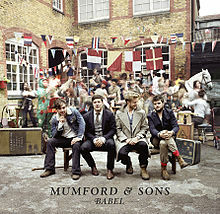 It’s the group’s first top 10 album… Mumford & Sons’ Babel drops from #1 to #3 its 23rd week (43K). This is its 17th week in the top 10….Macklemore & Ryan Lewis’ The Heist rebounds from #16 to #4 in its 21st week (42K). This is its second week in the top 10… Hillsong United’s Zion debuts at #5 (34K). This is the Contemporary Christian act’s first top 10 album. The Second Five: Now 45 drops from #4 to #6 in its fourth week (33K). It has been in the top 10 the entire time… The Lumineers’ The Lumineers drops from #5 to #7 in its 48th week (30K). This is its 10th week in the top 10… Josh Groban’s All That Echoes drops from #3 to #8 to in its fourth week (29K). It has been in the top 10 the entire time…Rihanna’s Unapologetic holds at #9 for the second week in its 15th week (29K). 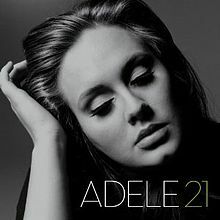 This is its fifth week in the top 10… Adele’s 21 rebounds from #14 to #10 in its 106th week (27K). This is its 81st week in the top 10. Taylor Swift’s Red drops from #10 to #14. The album is #1 on Top Country Albums for the 16th week. Three other albums drop out of the top 10 this week. Alabama Shakes’ Boys & Girls drops from #6 to #22, Grammy Nominees 2013 drops from #7 to #23. fun.’s Some Nights drops from #8 to #13. Joel Whitburn Presents: Billboard #1 Hits: The '70s enters the chart at #11. The 30-track album includes such gems as Carly Simon’s “You’re So Vain,” Gladys Knight & the Pips’ “Midnight Train To Georgia” and Billy Paul’s “Me And Mrs. Jones.” It’s the highest-charting Billboard-branded album to date. The first Billboard-branded album to hit the chart was Billboard #1s: Classic Country, which reached #161 in 2006. (A pair of Billboard Greatest Christmas Hits albums, released in 1989, made the top 30 on the Christmas Albums chart.) The 1970s album enters Top Catalog Albums at #1, displacing Doo-Wops & Hooligans. It’s the first Various Artists album to top the Catalog Albums chart since 150 Fun Songs For Kids scored in April 2009. 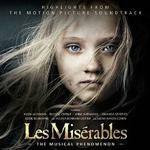 The Les Miserables soundtrack jumps from #35 to #16 in its 11th week in the wake of the Oscars, where the cast reunited to perform a medley of songs from the movie. The album returns to #1 on Top Soundtracks, displacing Pitch Perfect, which held the top spot the past six weeks running. This is the fifth week on top for Les Miz. Frank Sinatra’s classic live album Sinatra At The Sands, which he recorded with jazz legend Count Basie, re-enters the chart at #27. The album reached #9 in October 1966. It was the highest-charting live album of his unmatched career. This was part of the Amazon MP3 sale. 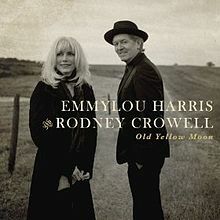 Old Yellow Moon by Emmylou Harris and Rodney Crowell debuts at #29. 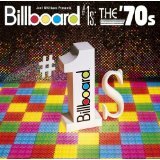 Harris first cracked The Billboard 200 in 1975. Crowell first scored in 1980. This is Crowell’s highest-charting album to date, surpassing 1981’s Rodney Crowell, which peaked at #105. Harris’ highest-charting album is 1987’s Trio, a collaboration with Dolly Parton and Linda Ronstadt, which reached #6. Michael Bolton’s Ain’t No Mountain High Enough: A Tribute To Hitsville debuts at #38. Another “blue-eyed soul” star, Michael McDonald, had a pair of successful Motown tribute albums a decade ago: Motown (#14 in 2003) and Motown Two (#9 in 2004). Bolton first “bubbled under” the album chart in August 1975 with Michael Bolotin (which is his real name). Trivia note: Bolton’s Time, Love & Tenderness was the #1 album the first week that SoundScan tracked sales for Billboard (May 25, 1991). 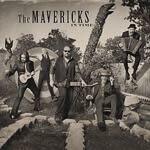 The Mavericks’ seventh studio album In Time debuts at #39. It’s the band’s highest-charting album to date. Emeli Sande’s Our Version Of Events drops from #64 to #84 in its 16th week on the chart. A song from the album, “Next To Me,” is climbing the Hot 100. The album logs its 10th week at #1 on The Official U.K. Chart. It’s the first album to log 10 weeks at #1 in the U.K. since Adele’s 21 had 23 weeks on top in 2011-2012. Our Version Of Events has been listed in the U.K. top 10 for 55 consecutive weeks. Among all U.K. debut albums, that’s second only to the Beatles’ Please Please Me, which logged 62 weeks in the top 10 in 1963-1964. Eagles’ Farewell I Tour: Live From Melbourne returns to #1 on Top Music Videos. This is its 15th week on top. The video debuted at #1 in June 2005. It has sold 1,556,000 copies to date. Jack The Giant Slayer was #1 at the box-office over the weekend, displacing Identity Thief. 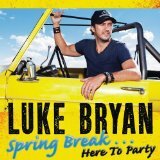 Coming Attractions: Luke Bryan’s Spring Break…Here To Party is expected to debut at #1 next week, with sales in the 105K range. It would be his first #1 album. Jimi Hendrix’s People, Hell And Angels will probably debut at #2, with sales of about 65K. Also due: Boz Scaggs’ Memphis, Shake It Up 3 soundtrack, How To Destroy Angels’ Welcome Oblivion, Passion’s Passion 2013 Live, Son Volt’s Honky Tonk and They Might Be Giants’ Nanobots.